Filter solutions for your oil and gas requirements. Manufacturers across the oil and gas industry trust Porex for its broad portfolio of filtration media. 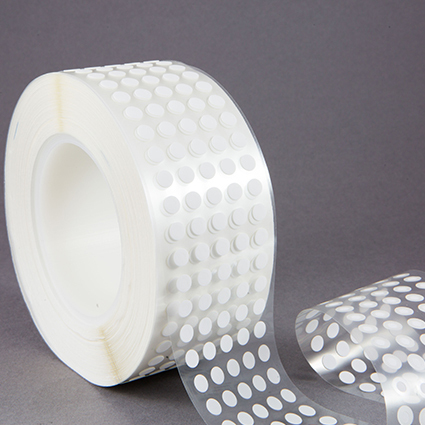 From bonded fiber to porous plastic media, customizable filtering solutions from Porex can meet your specific needs. Manufactured to your specific application requirements to ensure highly efficient filtration. From bonded fiber to sintered porous media, Porex creates media to separate or filter water from oil and gas streams. Reduce material usage - Porex bonded fiber material products can replace the need for multiple medi layers commonly found in oil/water separation filters. Self support - Filters can be self-supporting and customized into various shapes and sizes. Porex provides standard and custom-finished gearbox venting solutions for your gearbox challenges. These venting and filtration solutions can vary from simple protection vents to vents containing media for specific moisture or fume absorption to vents for separating oil mists. The material is customizable to your specific gearbox venting application and can incorporate functional additives for optimized performance. N, I, W & C are size codes. Many other standard and custom sizes availble. Contact Porex. PMV10 64,67 270 125 0.5 µ 0.13 260°C V-0/f2 No pen. PMV10L*** 64,67 270 85 0.5 µ 0.3 100°C - No pen. PMV15 64,67 380 70 0.4 µ 0.18 260°C V-0/f2 No pen. ‡PMV15T 64,67 380 70 0.4 µ 0.18 260°C - No pen. PMV20 64,65,68 520 34 0.1 µ 0.25 260°C V-0/f2 No pen. PMV25 65,67,68 750 15 0.2 µ 0.1 260°C V-0/f2 No pen. PMV30 65,66,67,68 1000 4.5 0.1 µ 0.25 260°C V-0/f2 No pen. Properties are typical and not meant for specifications. Properties for membrane only, selected options and adhesives may affect properties. Plugs meet UL-94 5VA and F1 rating. Assembly methods include: press fit, over-moulding, compression seal, or flange welding. *Highlighted rows indicate stock items.